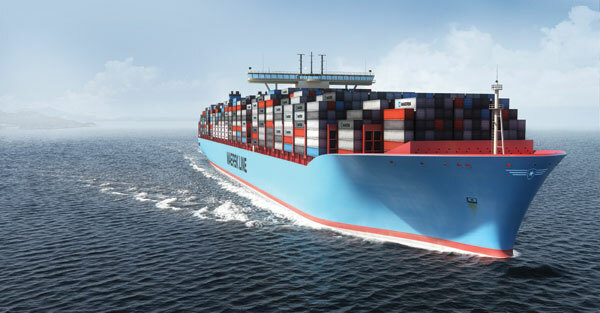 Maersk Line, the world’s largest container shipping company, has reached its 2020 target of reducing CO2 emissions by 25% from its benchmark 2007 levels. “We are proud to hit this mark 8 years ahead of schedule. It is confirmation we’re on the right track. And to keep that momentum we’re raising the target to a 40% reduction in CO2 by 2020,” says Morten Engelstoft, Chief Operating Officer, Maersk Line. “Maersk Line’s focus on energy efficiency has made the company significantly more cost competitive. And by cutting our CO2 we’ve also lowered the CO2 emissions of our customers, thereby helping them meet their own CO2 targets,” says Engelstoft. Benchmarking data makes it possible for all customers to compare their shipping suppliers based on CO2 performance. Maersk Line experts help customers implement such benchmarking schemes to make CO2 part of the buying decision. “We see an increased environmental awareness among our customers, so when we improve our environmental performance, we also improve our customer relationships,” Engelstoft says. It is estimated that shipping carries 90% of globally traded goods. While shipping is by far the most energy efficient way to transport cargo long distances, the contribution of CO2 to the atmosphere is 3-4% of the global annual total. “Maersk Line is an advocate for global regulation of CO2 for shipping. Cutting CO2 is a benefit for our business, not a threat to it,” says Engelstoft. “We reached this target largely from a combination of operational efficiency, network and voyage optimisation, slow steaming and technical innovation. We will hit the 40% target with more of the same,” he says. Posted by maritimenews on January 25, 2013. Filed under All news, Business, Company News, Latest news, World. You can follow any responses to this entry through the RSS 2.0. Both comments and pings are currently closed.